100% Power Output Guaranteed Unlike the competition, Thermocool Engineering’s Igwe generators deliver stated powered output. 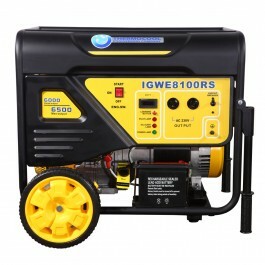 Key Start The generator can be started using a special ignition key, which is convenient and easy to use – it is so simple, anyone could start it. Remote Control Start Option The Thermocool Engineering’s Igwe generators come with a unique remote control start option, which offer you the option of starting your power generating set manually or remotely using a special RC panel.